What did you do today? The same thing I did?!? I opened up my refrigerator, looked at the shelves of leftovers and seriously contemplated tossing the whole works into the garbage can. Instead, I packed up some of the leftovers for my hubby to take to work, threw out what was left of the green been casserole and fruit salad, and I decided to tackled what was left of the turkey. The task of tackling the turkey isn’t really very difficult. I go about it as simply as possible. First, I remove as much meat from the bones as possible. This means getting right in there and taking the meat off the legs, thighs, breast and back of the ‘bird.’ The best way to do this is by using your impeccably clean hands or wearing a pair of gloves. Place the white meat in one pile and the dark meat in another. Place the white in one large resealable freezer bag and the dark in another bag. Date the bag and freeze. Save all the bones! That step comes next. I never toss out the turkey carcass/bones. The bones are an absolute must when making the best turkey broth. Simply place all the bones in a large stock pot. Don’t worry if the bones are in pieces, falling apart or have meat, stuffing or fat left on them. That will all get skimmed off at the end. Cover the bones with water plus an additional four inches. Season with salt and pepper. I like to add two peeled, quartered, onions and a few stalks of celery (sliced in half) to the pot but this is optional. Bring mixture to a boil over high heat, reduce heat to medium and boil gently for 90 minutes. Remove pot from heat, cool. Strain broth through triple thickness of cheesecloth. Discard all bones etc. At this point you can either make soup with the broth or freeze it. Freeze broth in plastic freezer container(s) for later. Remember to save some broth in a covered glass, quart jar in the refrigerator. When you need to de-glaze a pan, make sauce or when a recipe calls for (chicken) broth, it will be waiting for you. This time of year you can never have to many left over holiday turkey recipes. Try a few or try them all but be sure to keep them handy. Christmas is right around the corner and if you serve turkey for Christmas too, you’ll need these recipes. Each year for Christmas my hubby is rewarded with a Christmas ham. We save it for New Year’s Eve and then serve ham sandwiches. A few years ago I made Christmas Scalloped Potatoes and Ham, a classic and delicious dish that I had forgotten about. Now that Thanksgiving is over and the dishes are done, it’s time to transform the leftover turkey into new and exciting dishes. We have a few suggestions for you. All of the recipes that we have listed below are tried and true recipes. Recipes we have been making year after year with left-over Thanksgiving turkey and have become family favorites. We hope you’ll enjoy these super delicious recipes made with left over turkey. 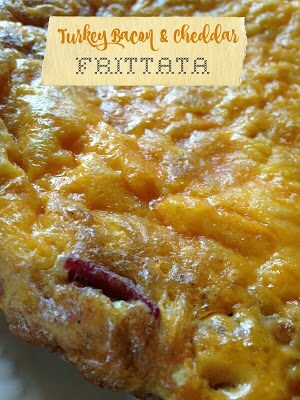 Turkey Bacon Cheddar Frittata; A delicious frittata made with turkey bacon or left-over holiday turkey, eggs and cheddar cheese. 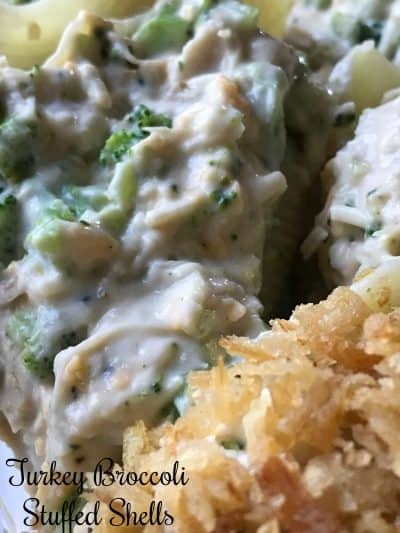 Turkey Broccoli Shells; Fast, easy and simple. Large pasta shells filled with left-over turkey, broccoli and cheese. Green Chili Turkey Enchiladas; A mixture of left-over turkey, sour cream, green chilies rolled in flour tortilla. 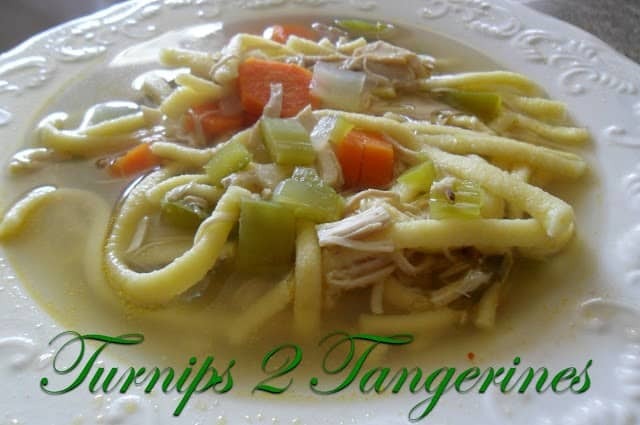 Turkey Noodle Soup; Enjoy a hot bowl of soup made with the left-over turkey frame and turkey. 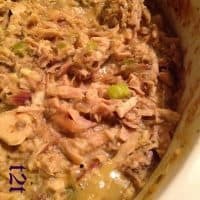 Hot Turkey Sandwiches; A family favorite! A great recipe to prepare when serving a crowd. 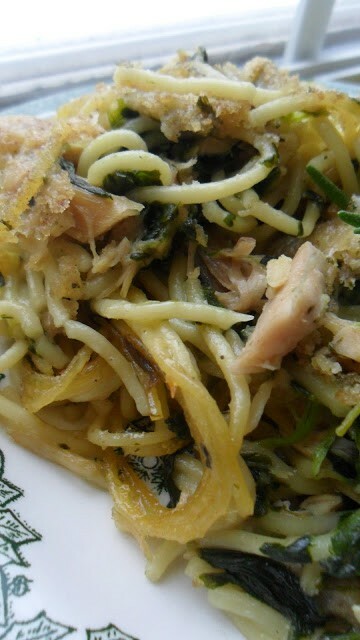 Turkey Tetrazzini Leftover Style; Is made with leftover turkey, pasta and leftover gravy. So Easy, yet so delicious. 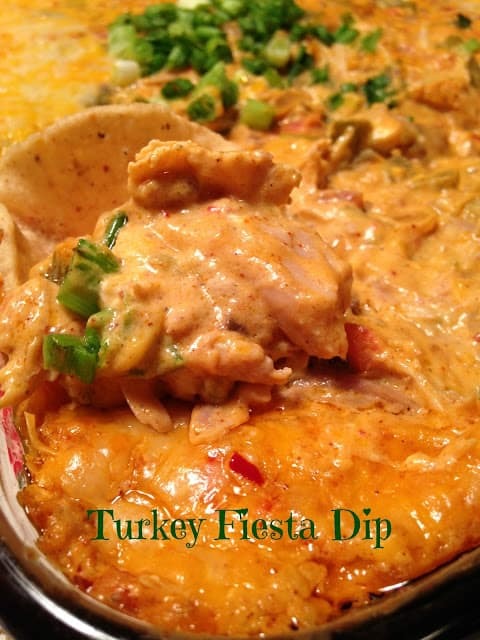 Warm Turkey Fiesta Dip; Is a super spicy delicious dip. 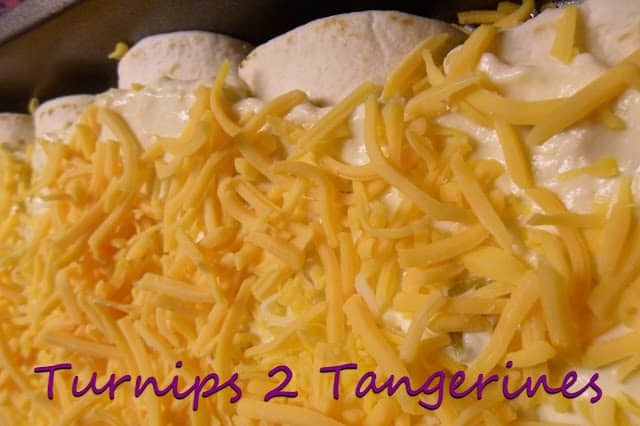 You will love this dip and will want to make it over and over and over again. 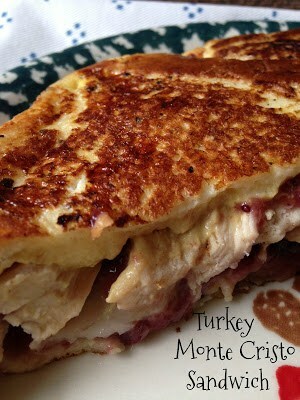 Turkey Monte Cristo Sandwich; The perfect turkey sandwich! This sandwich can be served anytime, day or night. 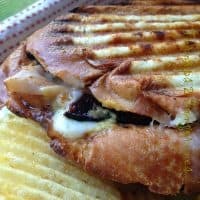 Turkey Havarti Bacon Panini; One word describes this fast and easy turkey sandwich. Delicious! I could eat this sandwich every day. Green Chili Turkey Enchiladas, Left-over Turkey Shepard’s Pie and Turkey Frame Soup are a few more recipes to try.